On March 27, Patrick Henry Community College held a ribbon cutting for the first community college food pantry to partner with Feeding America in Southwest Virginia. The ribbon cutting of the Patriot Pantry is took place in the Learning Resource Center room 107 at 10am. The college recognized the need for a food pantry after many offices on campus received calls from concerned instructors and family members who knew students who were going hungry. 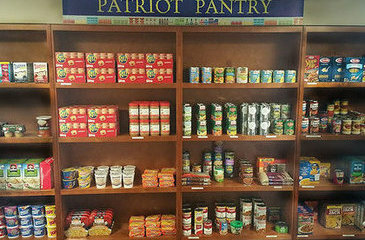 The Patriot Pantry is funded by community members, PHCC board members, and PHCC employees. The pantry will be stocked with non-perishable goods that students will be able to take to prepare meals for themselves and their family. The pantry will also have snacks and microwave meals to meet immediate needs. “We have heard of cases where students have fainted in a college office due to hunger. 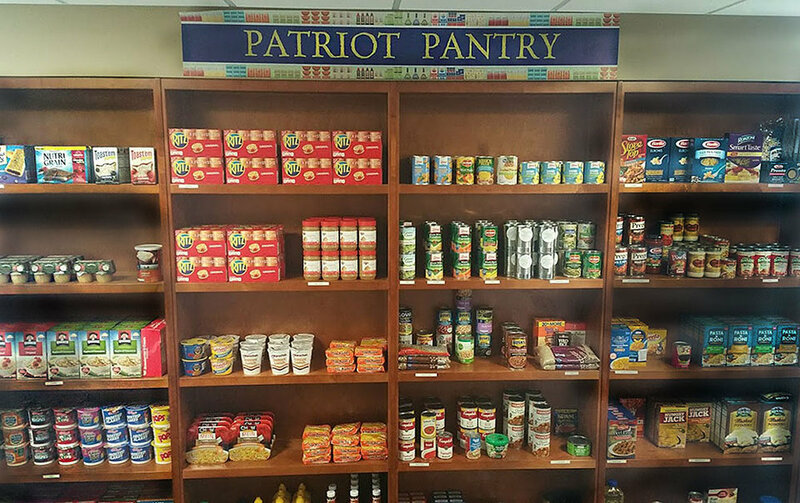 With the Patriot Pantry on campus, it is most likely to decrease food insecurity. Students can’t focus on getting their education if their most basic needs are not met first,” says Yaple. The pantry, which is open on Mondays and Wednesdays, is available to any currently enrolled PHCC student. Individuals wishing to donate can do so by clicking the link below. PHCC and the students thank you for your willingness to help those in need.